Fireplace inserts require certain types of venting - read on to learn more. Fireplace inserts transform masonry built, highly inefficient wood-burning fireplaces into beautiful heat producers for the home. 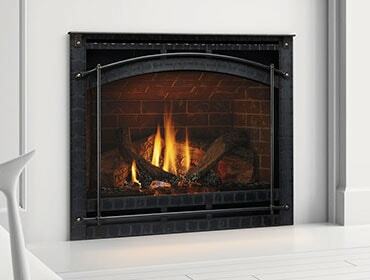 There are three types of fireplace inserts – gas, wood and pellet. Gas inserts are a good choice if convenience matters, as they operate at the flip of a switch or remote control. If you’d prefer to keep heating with wood, or make a change to pellets, a wood or pellet insert will transform your fireplace into a heating powerhouse.